The YMCA of the Greater Twin Cities (YGTC), a leading nonprofit dedicated to strengthening communities through youth development, healthy living and social responsibility, offers camp programs for kids to get an enriching, learning experience and help them get more out of summer break – more friends, more accomplishments and more belonging. Through a mix of fun and educational activities aimed at improving well-being, kids will experience new adventures, learn and master new skills, and share and trade interests with friends, exchanging plenty of high-fives along the way. When kids are out of school, they face hurdles that prevent them from reaching their full potential, related to hunger, water safety, academics, safe spaces to play, and health. 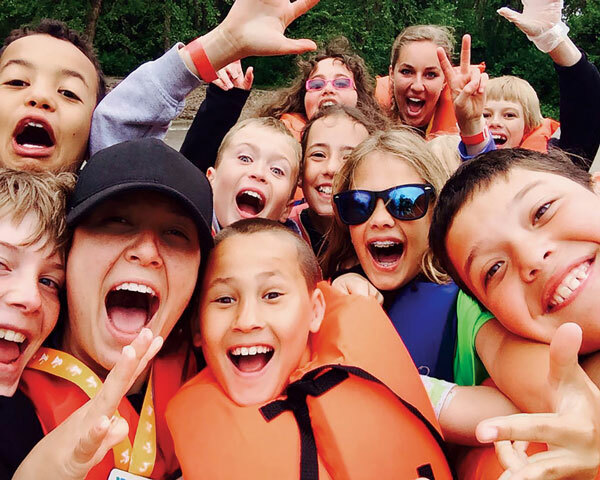 Through summer camp and other youth development programs, the Y helps youth achieve more, providing a safe place to learn, stay healthy and build friendships. For more than 100 years, the YGTC camps have offered youth an enriching, safe experience with caring staff and volunteers who model positive values that help build a child or teen’s character. There are a variety of camp programs to choose including day camp (Camp Christmas Tree, Camp St. Croix, Camp Guy Robinson, Camp Heritage, Camp Ihduhapi, Camp Kici Yapi, Camp Kumalya, Camp Manitou, Camp Spring Lake and Camp Streefland); overnight camp (Camp St. Croix, Camp Icaghowan, Camp Ihduhapi and Camp Warren); teen wilderness camp (Camp Menogyn and Camp Widjiwagan); and family camp (Camp Du Nord). Learn more about the Y’s camp programs.